(2) Improving of skin elasticity and caring of wrinkles on the face. 3. Good Effect for Rejuvenation of the skin. 1. Facial Mode: Wrinkle Care ! 2. Lifting Mode: Skin Elasticity! Head of device is coated by titanium. Titanium is 2 times stronger than iron and 6 times stronger than aluminum. 1. Power on and off. 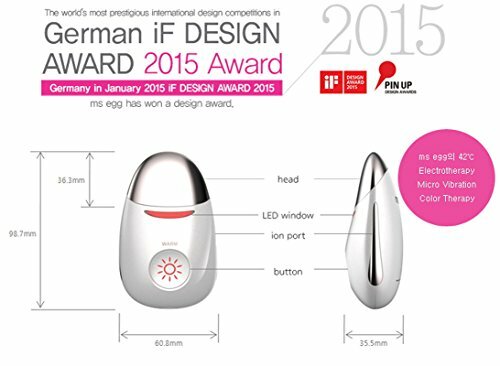 Although there are many different functions, you can control the device by only one button. 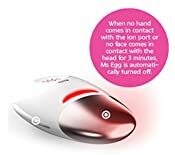 ms egg is a skincare device with multi-functions with heating up to 42°C, electro-therapy, micro vibration, color therapy in red Compact size of ms egg is good for your skin at any time and places.